Let her know you care with this charming 14k gold heart locket. This beautiful heart locket features a polished/satin finish with single heart design on the front. Inside this elegant 14k gold heart locket are two heart frames for photos of your loved ones. 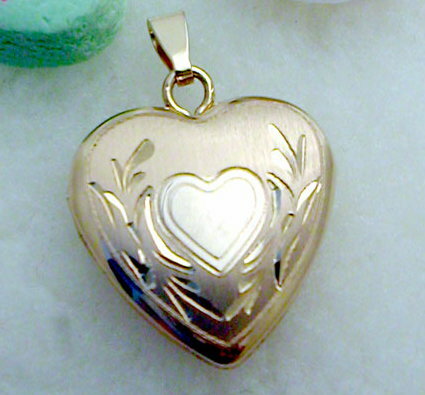 Need an engraved gold heart locket? Our 14k lockets have high polished backs perfect for engraving a special message. A single initial can also engraved on the front of this locket. Props not included. This is a non-stock item, please allow an additional 3-5 business days for engraving on this locket.